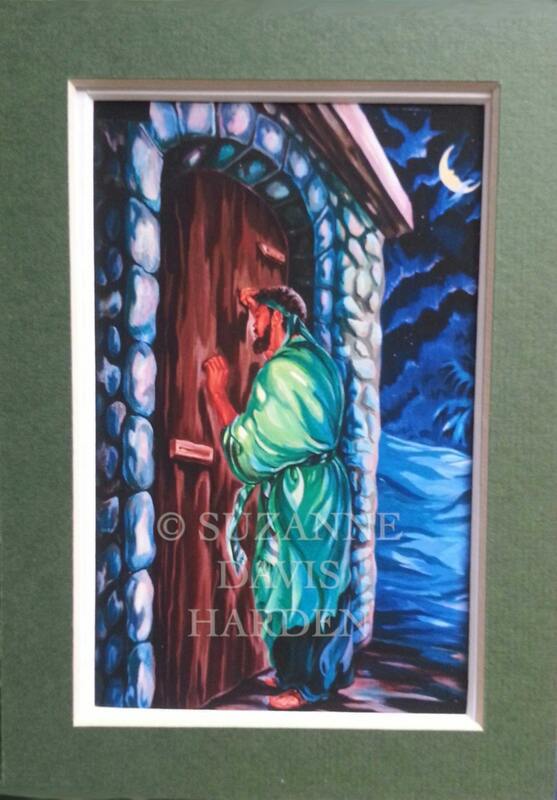 This small 5 x 7 inch double-matted print is of an acrylic painting I made of the parable that Jesus told in the Gospel of Luke about our need for persistence in prayer. 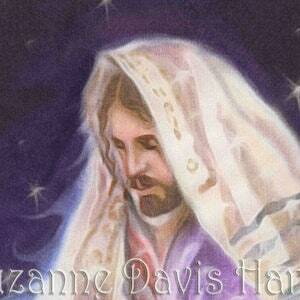 “Suppose you went to a friend’s house at midnight, wanting to borrow three loaves of bread. 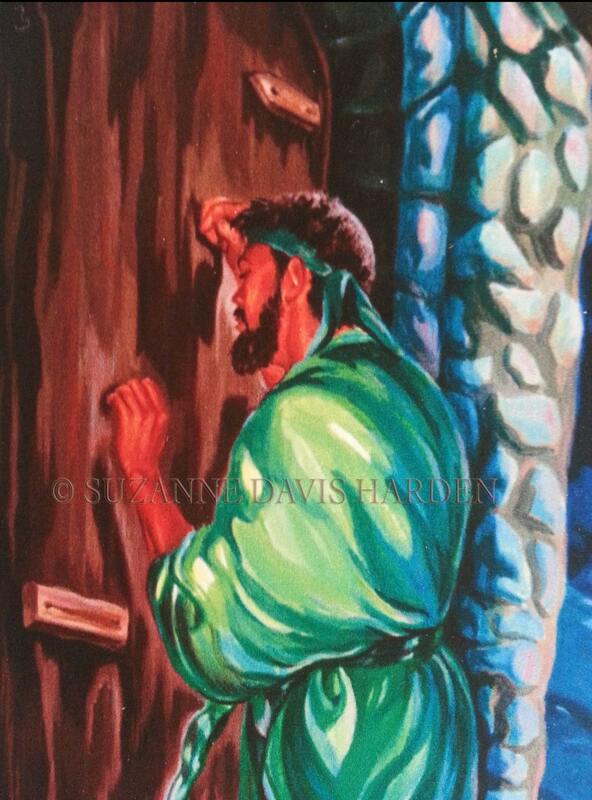 Keep on knocking, and the door will be opened to you. 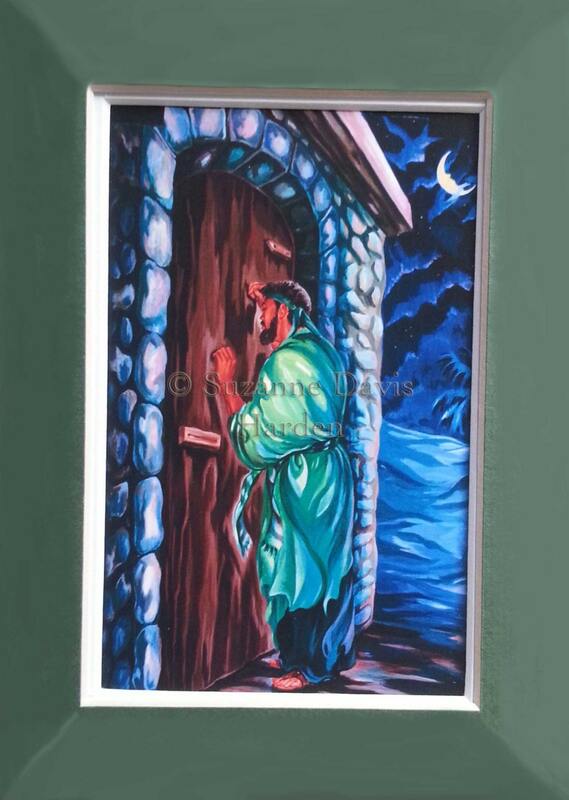 And to everyone who knocks, the door will be opened." 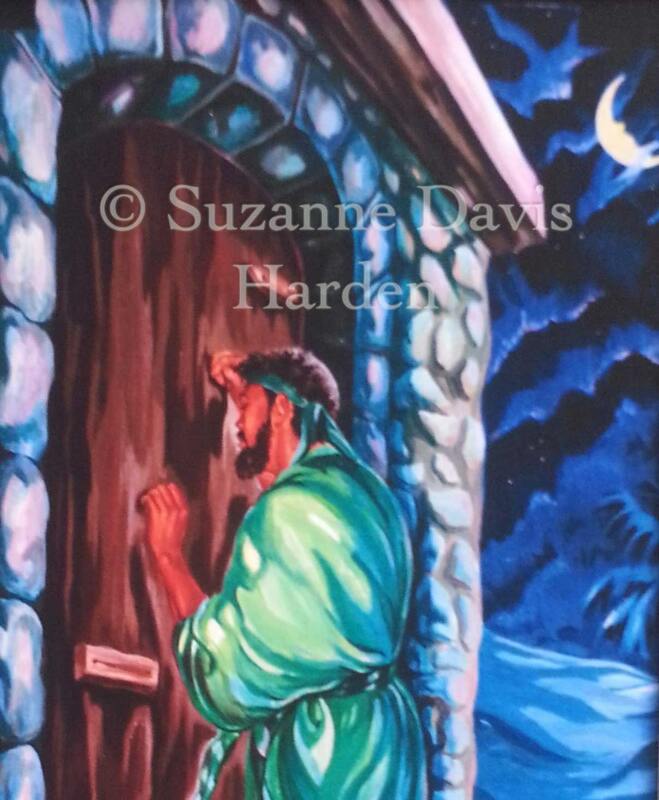 My painting of this story serves as a visual reminder of how persistent Jesus said we must be when we pray about our needs. 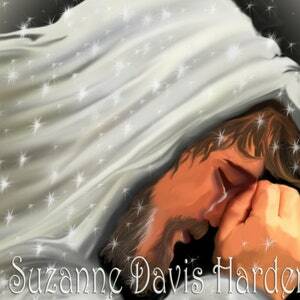 Luke 18:1 says: "One day Jesus told his disciples a story to show that they should always pray and never give up." 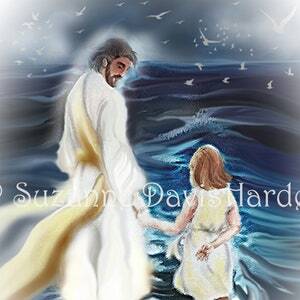 We all have needs that we must bring before the Lord and Jesus stressed that we must not give up trusting that our Heavenly Father does hear our prayers and will answer them in His own way and time. 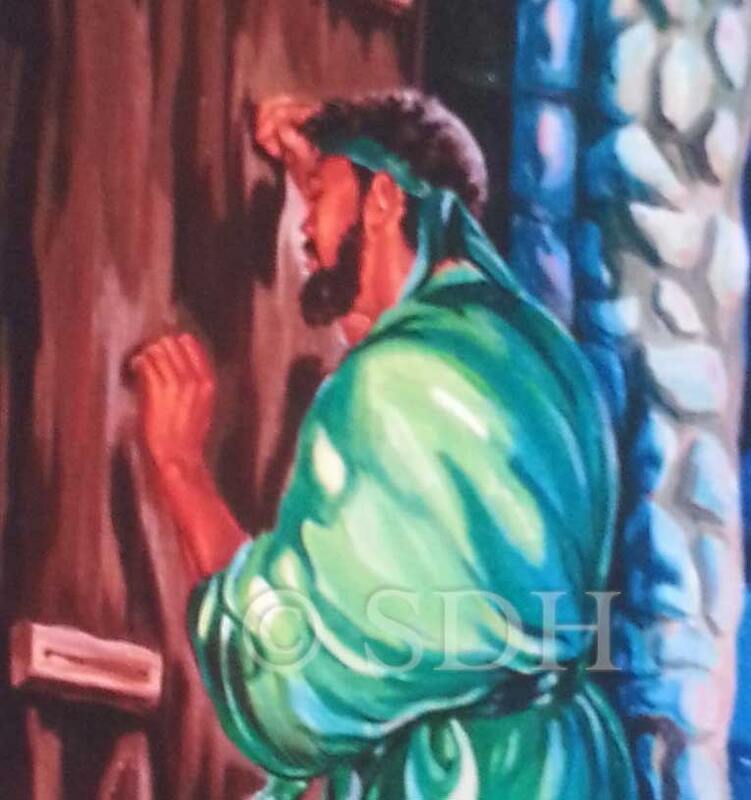 Our Lord Jesus said that we must hold on to faith and keep asking, keep knocking, and keep seeking His face. 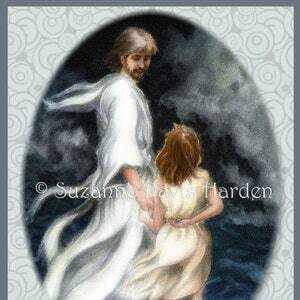 This little painting will encourage anyone who needs to be reminded to never give up praying and believing that God hears and will answer their prayer. The print is watermarked here on the internet but your purchased print will not be watermarked. I ship all fine art prints via USPS PRIORITY MAIL.